Learn resilience and self-advocacy skills. 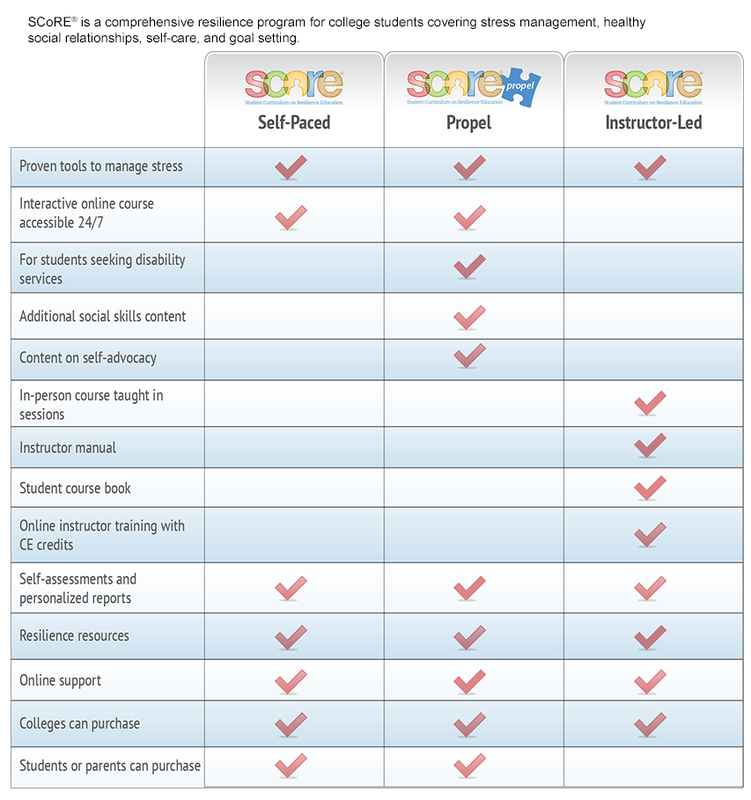 SCoRE: Propel, an online course geared toward students seeking disability services in college, helps students build resilience as well as self-advocacy and social skills. Additionaly, the course's audiovisual elements, interactive exercises, and practical application activities were modified to make the program content more accessible and relevant to SCoRE: Propel participants. Online course delivery mixing audio, video, and visuals adapted to meet the specific meeds of the SCoRE: Propel audience. Personalized feedback to questionnaires for self-assessment of resilience strengths and vulnerabilities. Interactive resilience-building exercises, including real-life practice assignments to complete offline. A searchable database of resilience links, including many resources specific to autism spectrum disorder. Responses to practice exercises recorded as journal entries for reference and reflection. Administrative tools for colleges and universities to support program implementation and evaluation. 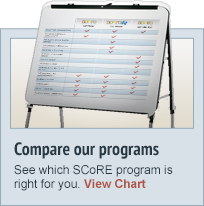 All the content of SCoRE: Self-Paced plus a unit on advocating for one's needs and working with disability services. Watch a brief SCoRE: Propel excerpt to get a feel for the course.